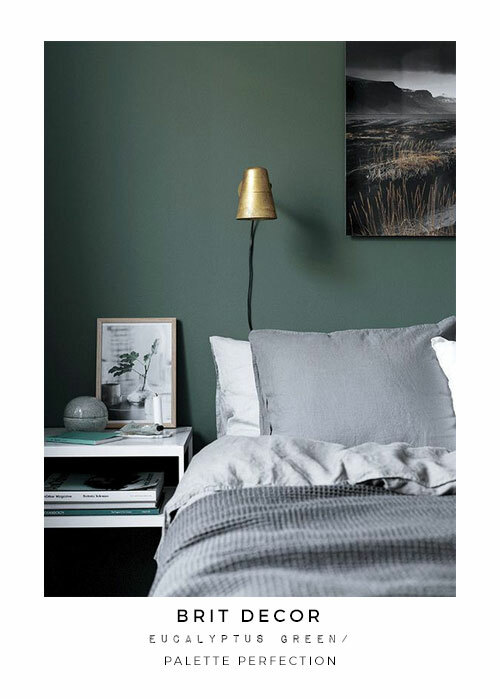 Palette perfection is all about being passionate about a particular colour scheme and fully immersing yourself & your space in a chosen hue(s) with spectacular success. 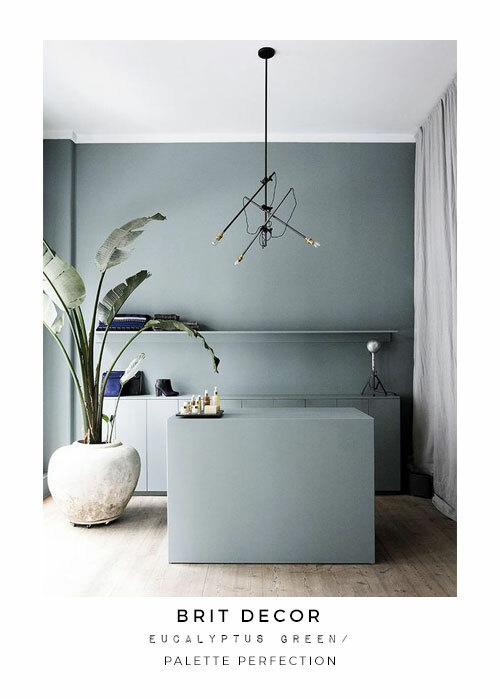 Right now I am coveting the subtle shine of the silvery/grey Eucalyptus - not only is this one of my favourite scents (my lounge is currently sporting the heavenly perfume of Honest's Eucalyptus Leaf candle), but it's also a highly calming hue merely to look at. 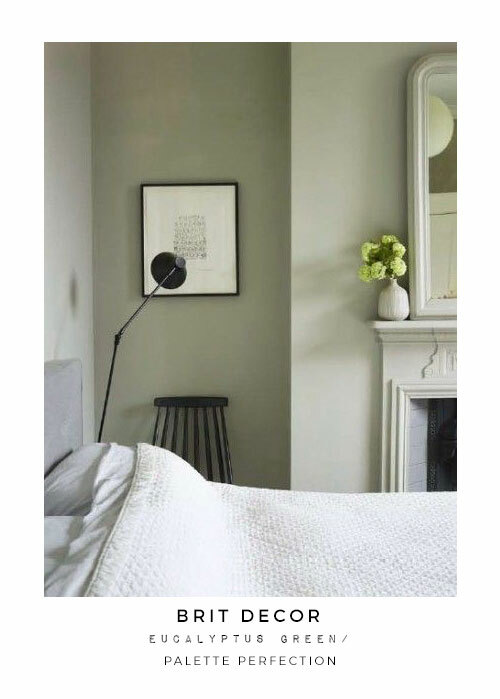 Given my own partiality to a shade or three of grey, Eucalyptus offers a refreshing alternative - alluding to a very subtle grey but with all the freshness of Spring. 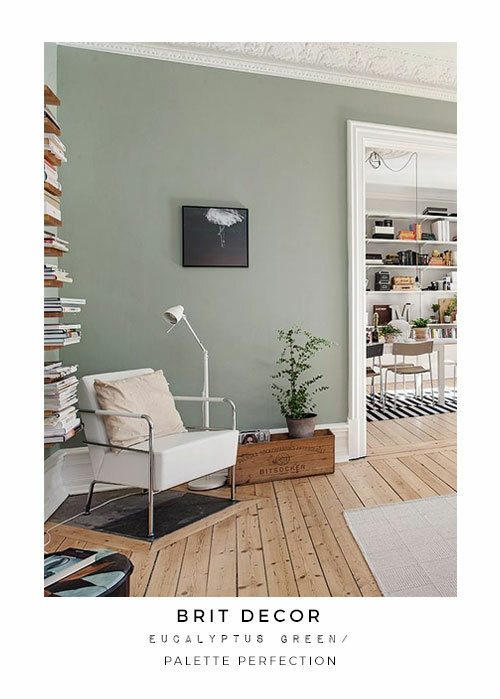 This colour sits effortlessly in the pale to mid-greens, and makes an awesome choice for home decor, from accented accessories to full-on painted walls and ceilings. 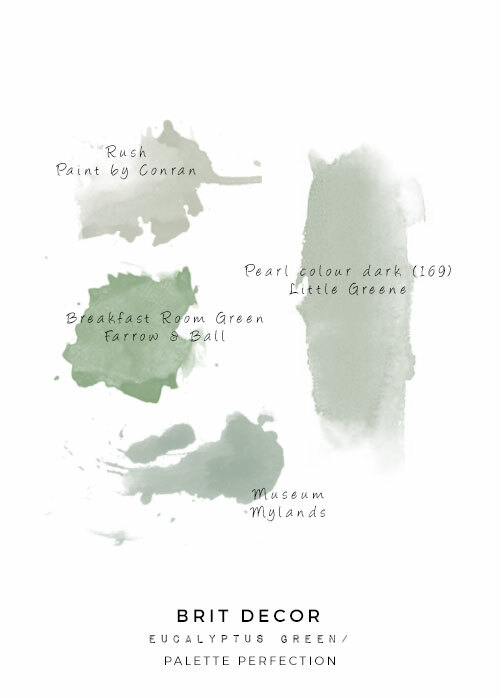 As well as picking out some of my favourite interior schemes in Eucalyptus inspired shades, I've also listed some of my top paint picks (final image - below). 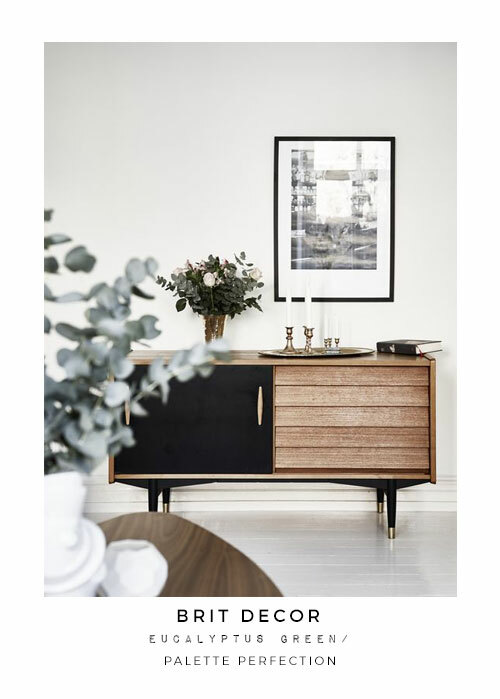 In case you are thinking of a new scheme!